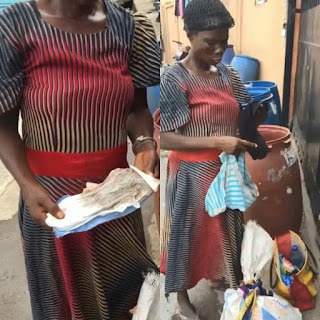 This woman was caught red handed picking used pants and pads from the dustbin that today. She allegedly wanted to use them for money rituals. She was made to display them after being caught. Some claim she wants to buy Benz.